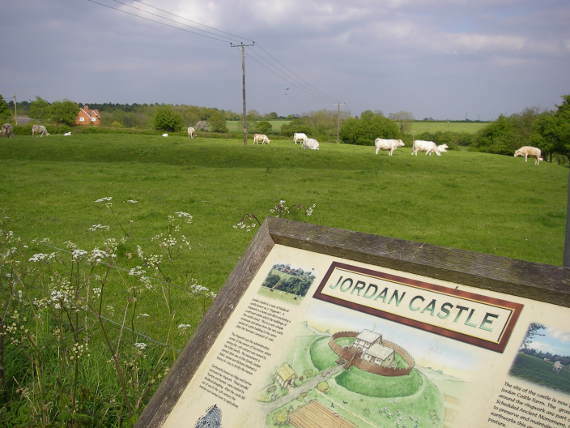 Jordan Castle Farm derives its name from the ‘motte and bailey’ manor house that is now only visible as an earthwork. It dates from the 13th Century, the right to fortify the manor house having been granted by the King to Richard Foliat (father of Jordan) in 1264. The farm belonged to one of the greatest estates in this area (Rufford) until 1939 when our family purchased it at the estate’s demise. It now extends to 270 acres (109 hectares) and is divided almost equally into arable and pasture land. Our entire farm is part of the Higher Tier of the Countryside Stewardship Scheme, which is a government scheme to encourage conservation and help the environment. Over the past forty years we have renovated most of our hedges (only two have been removed in 70 years), planted over 1000 metres of hedgerow, pruned our 1860’s orchard, cleaned four ponds, pollarded willow trees and in 2000 completely refitted our 1796 brick-built barn. We farm in a sensitive way to work with nature, using ‘integrated farm management.’ We try to combine modern techniques with an age-old love of the countryside. We think the amount of wildlife you are likely to see on our farm proves this. In 2001 we were very pleased to have our work rewarded by being judged overall winners of the ‘Wilkinson Environment Award for Nottinghamshire’ sponsored by Wilkinson Hardware Ltd. This award is given to the farmer or grower who, in the judges’ opinion, has most successfully combined a commercial farming business with a whole-hearted approach to environmental practice and improvement. We also very honoured to be successful again as overall winners in 2013. In 2004 we were also very pleased to be awarded a Highly Commended Certificate of Merit in the nationally renowned Silver Lapwing Award. In September 2005 the farm was entered into Entry Level Environmental Stewardship. 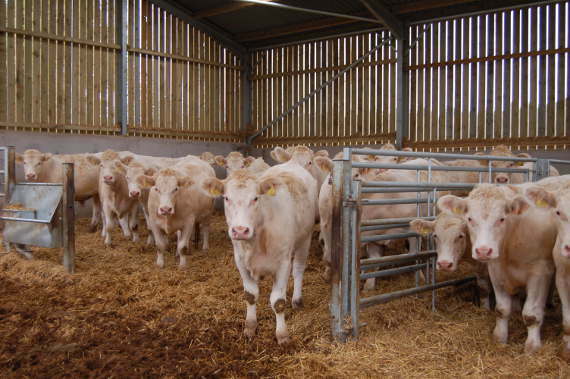 In February 2006 we successfully bid for entry into the Higher Level Scheme which covered the entire farm. Under this scheme we created a permissive access, a pollen and nectar flower rich meadow and planted new hedgerows. It has also enabled us to renovate the old stable as a meeting room for educational access visits. We were ‘highly commended’ in the 2012 RSPB Environmental Awards and in 2013 we were also Highly Commended in the Nature of Farming Award 2013. We offer educational access visits to schools and private groups both young and old. We are passionate about passing on the knowledge of the countryside and farming and helping to give a greater understanding of the origins of our food. If you are interested in booking a visit or would like further information, please do not hesitate to contact us.